What a pleasant surprise: high-end luxury made comfortably affordable. 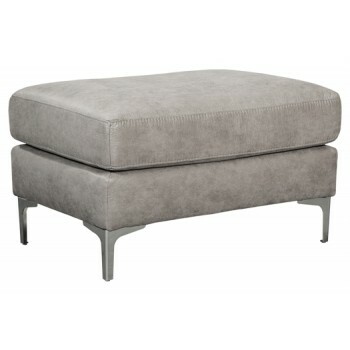 That’s what makes this faux leather ottoman in steel gray so alluring. Made exclusively for those wanting to make a designer statement, this finely crafted ottoman is dressed to impress with crisp, clean styling, sumptuous cushioning and a fabulous fabric that looks like cool weathered leather but entices with a warm, indulgent feel.